"ELEPHANT WALK" Artist collective and label, Night Owl Collective, presents to us a new track from London producer Stereo Cube off of their on going Feel Trip Vol.3 compilation. Titled "Elephant Walk," the release stampedes with eccentric synth work and metalling bass. Sampling the shrieking call of the largest land creature, the track displays a darker and deeper style of chill music than what this UK artist usually creates. The track begins with a blissful intro full of airy beats, but then seconds in, the track transforms into a ticking time bomb of unrelinquishing brass and bass. Below share and listen to Stereo Cube's "Elephant Walk"! 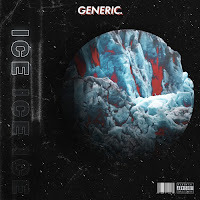 "ICE" So-Cal based group, Generic., ironically drops a firey track titled "ICE" from their upcoming album Space Juice Vol.2: Identities! 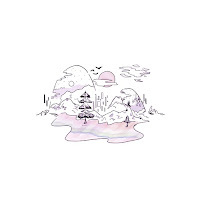 Produced by Pettie and performed by Zarek, Petti, Andre Santi, and PINK, the whimsical hip-hop rhythm, and saucy rhyme have Generic as a glowing rap group in the SoundCloud community. With a release like this, the growing anticipation for their next album has their audience on their toes for what they will deliver next! Below share and listen to Generic. 's "ICE"! 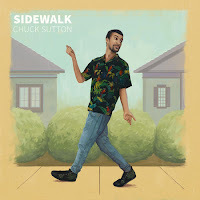 "SIDEWALK" New Jersey producer, Chuck Sutton, cranks out a new hefty track titled, "Sidewalk"! The track is injected with incredible sound design and shoulder groove vocals from Sutton himself. "Sidewalk" simmers with spicy sour beats that pop and twist displaying Chuck's undeniable talent in producing music that engages all senses of a listener. With his flavorful percussion and tasty beat samples, this producer will consistently leave you wanting more. Below take a quick stroll with a listen to Chuck Sutton's "Sidewalk"! 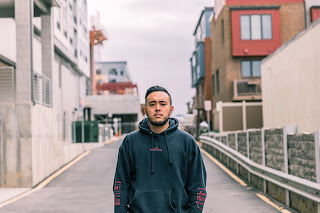 "CIRCLES" From the city of Bristol, producer Yuki Ame collaborates with vocalist and lyricist ZOE on their new release "Circles"! Released via the London based collective Panel, the mellow beats, and breathy vocals glitch and softly caress every second of the track. The first single from his upcoming EP, Anamnesis, Yuki Ame shifts from hip-hop to a newer style of electronic music. Blending a combination of club, acoustic harmonies, and experimental synths, "Circles" gives listeners a delicious sense of what his new music will sway in. 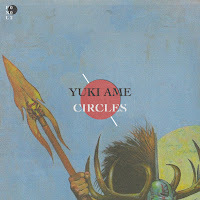 Below share and listen to Yuki Ame's "Circles" featuring ZOE! Also, catch his live performance at London's Birthdays with Jadu Heart and [ K S R ] on March 16th! 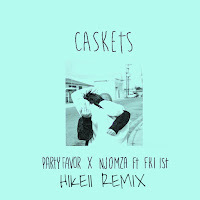 "CASKETS" - PARTY FAVOR & NJOMZA FT. FKI 1ST (HIKEII REMIX) LA producer, hikeii, is back again with an iconic remix of Party Favor and NJOMZA's "Caskets" featuring FKi 1st! The jersey club flares and rolling bass keep you on your toes and the consistent use of high pitched vocals mark as a hikeii signature sound. The remix is lighted with brightly used tropical beats and is wrapped in snaps and claps for the perfect track to drop in any DJ set. Teasing us with many major projects on the way, we can't wait to see what else this super active artist drops next! Below share and listen to hikeii's remix of "Caskets"! "WORTH IT" From his new EP, Apart, LA producer, Robokid, takes off with an exceptional piece titled, "Worth It"! Vocals by Robokid himself, the track mixes in pop and house instrumentals creating a catchy tune for your ears to feed on. Lyrics of honesty and life's unexpected experiences, "Worth It" encases the emotional aspect of the EP. Released through LA-based label Moving Castle, Robokid establishes his own sound and voice through this new project. 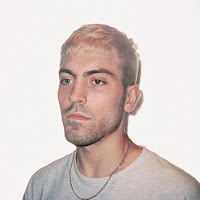 Below share and listen to Robokid's "Worth It" and the rest of his new EP! 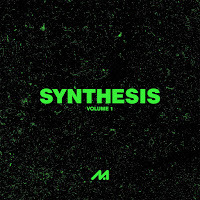 SYNTHESIS: VOLUME 1After years of publishing our music/art discoveries on this blog, the community has shown us that true artistry has no boundaries. To start off our official 3rd year of MELTING OF AGE, we thought a compilation would be the best fitting. Compiled of artists we have admired over our time as a blog, SYNTHESIS: VOLUME 1 constructs, to what we hope, a cohesive album full of original pieces that best represents MOA. For this first comp, we collected a total of 13 artists from around the world to showcase their workmanship in production and songwriting. From heated house to experimental club music, we are excited to present SYNTHESIS: VOLUME 1 as the first edition to our new compilation series! Below share and listen to SYNTHESIS: VOLUME 1! Available on all platforms here! The first single released off of the new MOA compilation by Los Angeles based producer Omniboi, and New Jersey vocalist/producer Ehiorobo, is a wonderful combination of their two very unique styles in music. 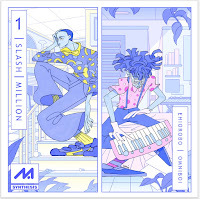 Omniboi’s jazzy production synchronizes perfectly with Ehiorobo’s R&b style vocals on "1 Slash Million." The track starts off with some attention grabbing vocals from Ehi paired with Omni’s unique production, leading into a lovely chorus that's so catchy it’ll be stuck in your head for days, then wraps up with a soft ending and heavy bassline. Every second of this tune is a showcase of both artists’ strong points in music, and it clearly shows. If this track is any indicator of how good the rest of the compilation is going to be, you’re all in for a real treat! Below share and listen to Ehiorobo and Omniboi's "1 Slash Million"!